Conjunctions are some of the shortest words in the English language, but they do some of the heaviest lifting. Words like and or but are popular conjunctions. They hook up words, clauses, and phrases, creating in-depth and complex sentences. Conditional conjunctions are an interesting bunch, however. They're found in sentences where one clause describes something that happened or will happen - if the condition of the other clause is satisfied. Conditional conjunctions can be a single word like if or several words like as long as. When placed at the beginning of the clause, these conjunctions describe the condition that needs to be met for something to happen. Since conditional conjunctions preface clauses that are dependent upon some sort of action, it comes as no surprise that one of the two clauses in the sentence is going to be a dependent clause, or one that cannot stand alone as a complete thought. That means, the second clause is going to be an independent clause, or one that can stand alone as a complete sentence. After - After he gets the promotion, he will get a new office. As a consequence of - As a consequence of studying hard, you will pass the exam. As a result of - As a result of seismic testing, oil was discovered on Henry's land. As long as - As long as I am capable, I will ride my bike to work. As soon as - The parade will start as soon as the mayor arrives. Assuming - You can get a red dress, assuming one is on sale. Because - Because it's raining, we will take our umbrellas. Before - She will finish the report before the meeting. 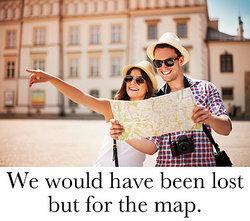 But for - We would have been lost, but for the map. Even if - Even if she loses her job, she will still have a job in education. If - If you brush and floss every day, you probably won't get cavities. If only - If only I'd practiced longer, I would have made the shot. Once - Once the chores are done, we will go to the park. Only if - We will perform a few songs, only if the profits go to charity. On the condition that - You will get the job, on the condition that you will work every other Saturday. Provided - I will go to the prom with you, provided you apologize. Providing - We will give you the money, providing you can pay it back within six months. Since - Since it is autumn, there are many leaves on the ground. Therefore - The mortgage wasn't paid, therefore the bank foreclosed. Unless - Unless you've purchased tickets, you won't be able to attend the show. Until - They don't talk to me until I talk to them. When - When I get hungry, I will go to a restaurant. Whenever - Whenever I eat spicy food, I get hives. Wherever - Wherever there are flowers, bees will come to pollinate. Whether - He spent all his paycheck on clothes, whether that was smart or not. Yet - The picnic was interrupted by rain, yet we all had a fabulous time. Conditional conjunctions are interesting little connectors, huh? You can see how they allow us to expand our thoughts into fuller sentences. Although our focus was on the conjunctions themselves, as well as the dependent clauses, did you notice something about the punctuation in each of the example sentences above? Nearly every sentence required a comma. To make sure you always nail you grammar and punctuation, whether you're toying with conditional conjunctions or not, take a look at this article outlining 8 Times Commas Were Important. This little punctuation mark will be your new best friend, second only to the period. "Examples of Conditional Conjunctions." YourDictionary, n.d. Web. 23 April 2019. <https://examples.yourdictionary.com/examples-of-conditional-conjunctions.html>. Conjunctions are some of the shortest words in the English language, but they do some of the heaviest lifting. Words like and or but are popular conjunctions. They hook up words, clauses, and phrases, creating in-depth and complex sentences.Conditional conjunctions are an interesting bunch, however. They’re found in sentences where one clause describes something that happened or will happen — if the condition of the other clause is satisfied. Conditional conjunctions can be a single word like if or several words like as long as. When placed at the beginning of the clause, these conjunctions describe the condition that needs to be met for something to happen.